Each day this week, we have been counting down to the launch of the Cambridge Rules 1848 sculpture on Saturday by highlighting the story behind the location of one of the stones. Cut into nine pieces, five travel around the world in cultural exchange and four remain on Parker’s Piece. On Monday we went to Shanghai in China, on Tuesday we made the trip to North Chennai, in India, and yesterday we wree underneath a motorway in Cairo. 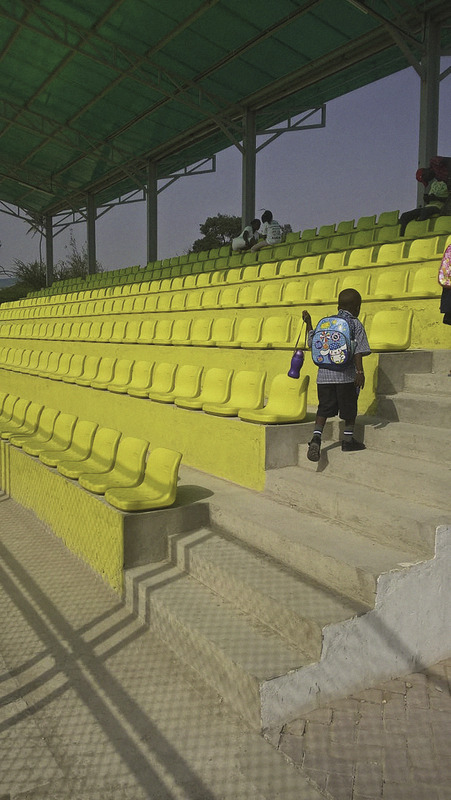 Today we’re at a fantastic community stadium in Mombasa, Kenya. 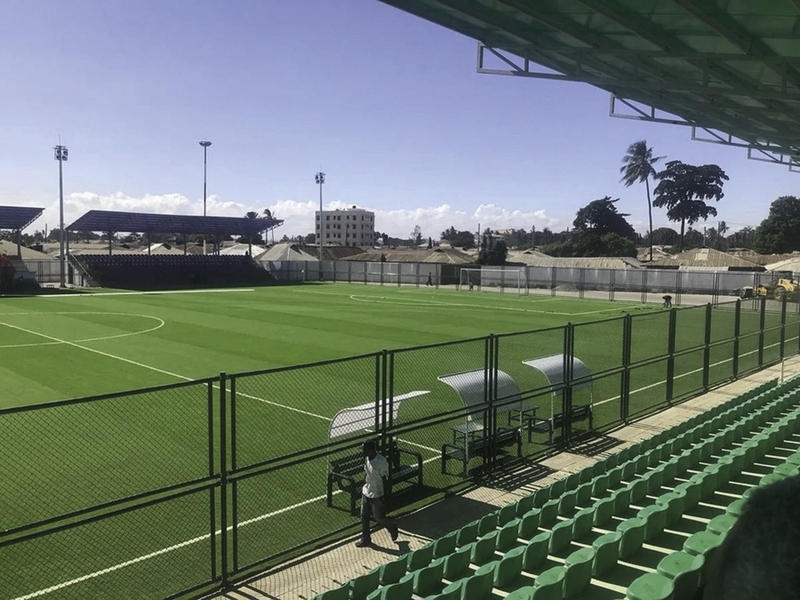 in the Bomu district to host local and professional games: Kenya’s street children soccer team is based next to the stadium and have been using it to prepare for the Street Child United World Cup. A team selected from the Glad’s House orphanage, they aim to challenge the negative perceptions and treatment of street children. Their goalkeeper, Eliud Mwaura said, “Nothing good has ever happened in my life. People always associated me with bad things. They never wanted me to even walk with their children. I wonder what they will say now that I have been chosen to play for my country. They will hear that I have a passport and am flying out of the country. Football has really changed my life. People will now see and talk differently about me”.